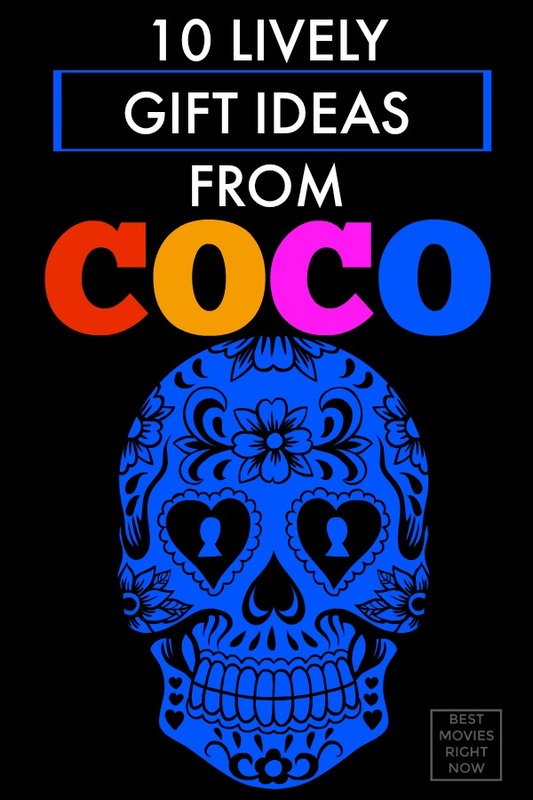 Are you looking for Coco gifts for movie lovers? I’ve created a list of gifts at every price point. Hand-curated by me. The adorable fantasy comedy has taken the whole world by storm. 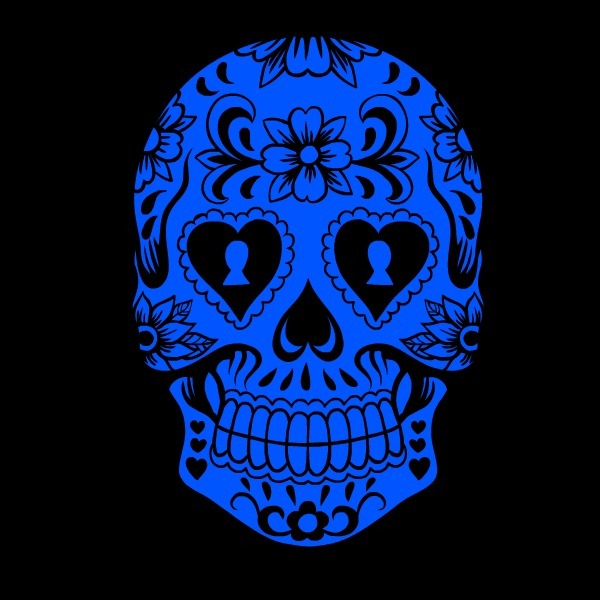 Cool gothic stylings representing the cultural celebration, Día De Los Muertos (Day of the Dead) will help in celebrating the traditional Mexican holiday. The movie Coco is inspired by the Day of the Dead (a multi-day Mexican holiday celebrated by people of Mexican heritage which focuses on gatherings of family and friends to pray for and remember friends and family members who have died and help support their spiritual journey). Sugar skulls – Along with toys, they are left on the altars for children who have passed. The skull is used not as morbid symbol but rather as a whimsical reminder of the cyclicality of life, which is why they are brightly decorated. Marigolds – A specific type of marigold flower, native to Mexico, is often placed ofrendas (collection of objects placed on a ritual altar) and around graves. With their strong scent and vibrant color the petals are used to make a path that leads the spirits from the cemetery to their families’ homes. Monarch butterflies – They play a role in because they are believed to hold the spirits of the departed. This belief stems from the fact that the first monarchs arrive in Mexico for the winter each fall on Nov. 1, which coincides with Día de los Muertos. Miguel, a 12-year-old aspiring musician. Coco, Miguel’s elderly grandmother, who he lives with. Héctor, a charming trickster in the Land of the Dead who enlists Miguel to help him visit the Land of the Living, and is later revealed to be Miguel’s great-great-grandfather. Ernesto de la Cruz, the most famous musician in the history of Mexico and Miguel’s idol. Revered by fans worldwide until his untimely death, the charming and charismatic musician is even more beloved in the Land of the Dead. Dante, the film’s supporting character, a Xoloitzcuintle (aka Xolo, Mexican hairless dog, or hairless dog). 1. Disney Pixar Coco T-shirt – Wait ’till you get this tee on your kiddo, it’ll take his everyday style to a whole new level–especially when you customize it with this bold graphic is inspired by the smash hit Disney/Pixar movie, Coco. 2. Disney Pixar Coco Accessory Bag – Fill it, clip it, and go! This custom clip-on accessory bag is designed to give you on-the-go access to all of your essentials. Check out Miguel Rivera playing Ernesto De la Cruz’s famous guitar. 3. Disney Pixar Coco Tote Bag – Cool papel picado stylings accentuate this cool gothic design inspired by the smash hit Disney/Pixar adventure, Coco. 4. Disney Pixar Coco Coffee Mug – The “Funny Tongue Out Two-Tone Coffee Mug” is for every dog lover. How could you not be looking at little old Dante here! This lovable cartoon character jumps straight out of the hit Pixar movie Coco. 5. Disney Pixar Coco Laptop Sleeve – Check out Miguel Rivera playing Ernesto De la Cruz’s famous guitar. But wait a second..….. wasn’t Ernesto buried with his famous guitar? Here we see Miguel showing off some serious strumming skills moments after “borrowing” his idol’s musical instrument. 6. Disney Pixar Coco Three Ring Binder – Showcase your work in this eye-catching binder featuring Miguel Rivera playing Ernesto De la Cruz’s famous guitar. 7. Disney Pixar Coco Sweatshirt – Enjoy the comfort of this warm and toasty pullover hoodie. Dante’s hungry…for bones! This colorful cartoon animal is in the right place – The land of the Dead, where bones are plentiful. 8. Disney Pixar Coco Bag Tag – Stand out in a crowd at the baggage carousel with this luggage tag! Sturdy and weatherproof, this luggage tag is ready to stand-up to the travel demands of any road warrior or adventure seeker. 9. Disney Pixar Coco Canvas Print – Quit looking so blue Hector! This Disney character is a trickster, and though he might look blue he’s anything but in this cool design. A silhouette design inspired by the hit Pixar movie Coco. 10. Disney Pixar Coco Skateboard – What a cool skateboard that featured the Sugar Skull & Floral Pattern. Whether you’re doing grinds on the half-pipe or kickflips in the street, this competition shaped board has supreme pop! The decks are made of the best quality hard-rock maple and with our one-of-a-kind printing process; you get the best skateboard available in the world. Don’t forget that these make perfect Coco Christmas gifts! WHAT DID YOU THINK OF THIS COCO GIFT IDEAS LIST?